You will earn 3,302 Reward Points. Earn 1 reward point for every 1 dollar spent. 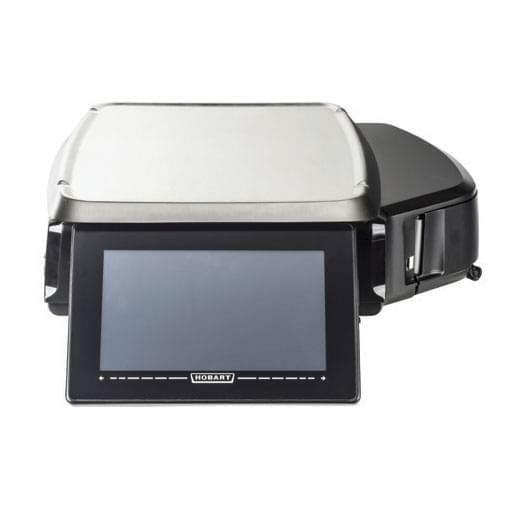 The Hobart HTSP-LS Hts Service Scale Embedded Linux Kernel boasts a 10.1" color operator touch screen, 2.25"W label capacity, and 8 dot/mm print head. It features 8 GB Micro SD Ram memory, 1 GB DDR3 RAM memory, and built-in Ethernet wired or wireless communications. Voltage: 120/60/1 or 220/50/1. There is no weigher or customer display on this unit. It is used for printing only. HTSP-LS Hts service scale; Embedded Linux kernel; 10.1"